Orinthia Swindell has had a lifelong passion for learning and teaching others about equity and inclusion work. 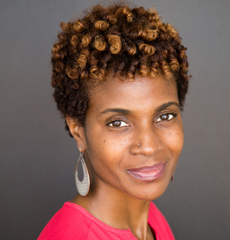 She has served as an early childhood educator for over twenty years, currently serves as the Director of Equity & Inclusion at an independent school in her hometown, Brooklyn, New York in addition to her role as an independent consultant. Much of her work over the years has centered around young children’s awareness of race and identity and adult skill development around this as well. Orinthia has facilitated numerous workshops and presentations, presented at national conferences and has been a guest speaker at teacher preparation programs. One of her most esteemed accomplishments is being the mother of two amazing young men.